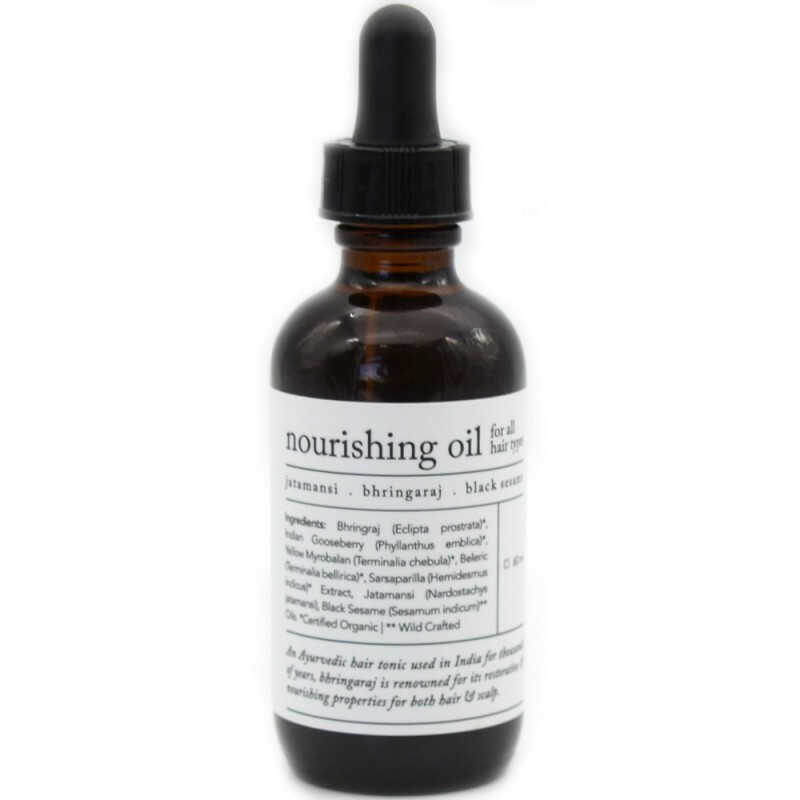 An Ayurvedic, black sesame oil hair tonic to nourish both hair and scalp. Using traditional ingredients like bhringaraj (also known as False Daisy), this handmade oil will help revitalise & restore natural growth, colour & lustre. Suitable for all hair types. 60ml. Buying this product = 45 Reward points for Members. Your cart will total 45 points = voucher of $2.25. Not a Member? Join at checkout to claim these points. In a reusable, recyclable glass jar, creating less trash for landfill. *Bhringraj (Eclipta Prostrata), *Indian Gooseberry (PhyllanthusEmblica), *Yellow Myrobalan (Terminalia Chebula), *Beleric (TerminaliaBellirica), *Sarsaparilla (Hemidesmus Indicus) extract; Jatamansi(Nardostachys Jatamansi), *Black Sesame (Sesamum Indicum) Oils. *Certified Organic. 60ml glass bottle with dropper. Browse our other natural skin care.